We leave foot-tracks for our grandchildren to follow by what we say, but they are much, much clearer when what we do backs up what we say. 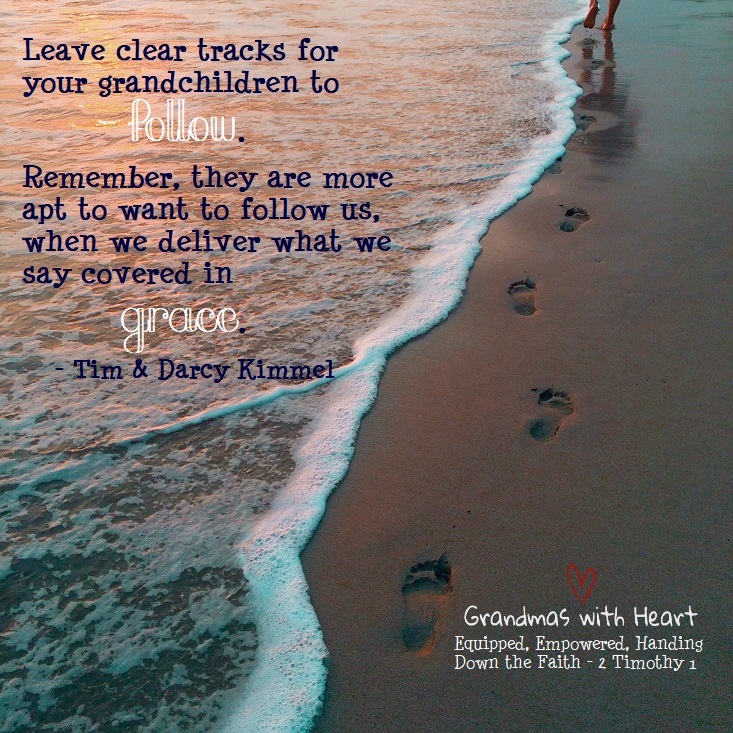 And, when what we say and do is grounded firmly in grace, our tracks will not only be "clear", but they will be "attractive". So, be a grandma who speaks grace to your grandchildren. Be a grandma whose actions "shout" grace loud and clear. When we do this we are doing what Jesus did. 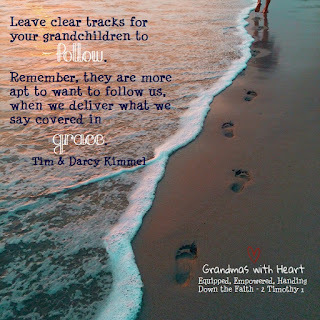 His words and actions were grounded firmly in grace and we certainly want our grandchildren to see and follow His foot-tracks; make it easier for them to do this by being certain your own foot-tracks are tracks of grace.